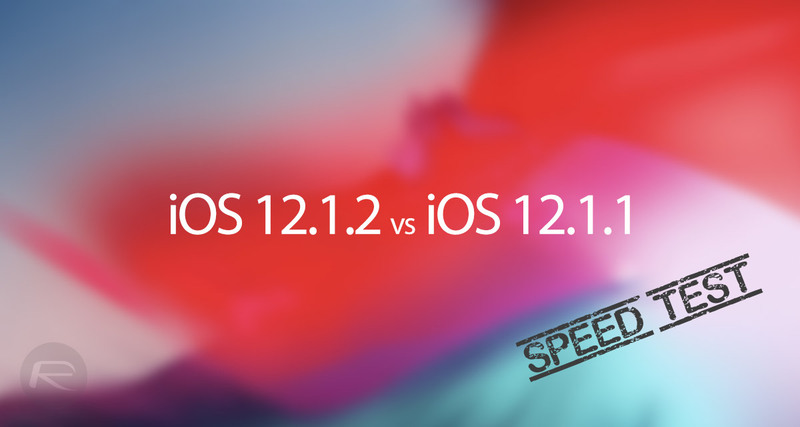 iOS 12.1.2 Final Vs iOS 12.1.1 Speed Test: Is There Any Improvement? Apple released iOS 12.1.2 recently, with the update only being made available for iPhones. The lack of an iPad update is perhaps a pointer to what changed in this release, with improvements to eSIM support and China-specific changes to some of the animations iOS 12 uses – animations that Qualcomm has been successful in claiming infringes upon its patents. With iOS 12.1.2 having seemingly been rushed out, questions were raised as to how it would perform. YouTube channel, iAppleBytes found out. By taking an iPhone 8, iPhone 7, iPhone 6s, iPhone 6, and an iPhone 5s and installing both iOS 12.1.2 and iOS 12.1.1 the YouTuber was able to confirm whether any performance changes were part of this update. Tests were run on all kinds of things including boot time and general use, and as the five different videos will show, it seems that as far as speed is concerned, the two iOS releases are identical. While Apple never said that the new update would bring with it an improvement in the performance of any devices, it’s always interesting to see how updates perform on older devices where any change in speed will be most accentuated. It’s clear that nothing changed on that front in this release, so you’re not missing out much if you haven’t updated just yet. Apple may have only released on beta of iOS 12.1.2 before it was rushed out of the door, but iOS 12.1.3 is already in testing and appears to be continuing where the iOS 12.1.2 beta left off. We don’t expect any huge performance changes there, either, but it’s still early days.